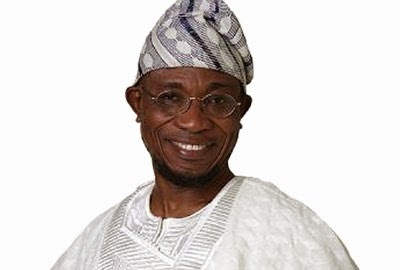 Tomorrow’s election would be the first time in seven years that the people of Osun State would choose a governor for themselves, the incumbent having been enthroned by the judicial pronouncement of the Court of Appeal in 2010. 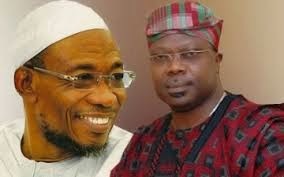 The two major candidates in the election are the incumbent, Rauf Aregbesola of the All Progressives Congress, APC and Senator Iyiola Omisore, the candidate of the Peoples Democratic Party, PDP. It is undoubtedly a tough battle given the grit and determination of the two major combatants. Omisore was involved on the winning side of all three gubernatorial elections since the advent of the Fourth Republic, having been deputy to Governor Bisi Akande in 1999 and then, a strong backer of the PDP in the 2003 and 2007contests. Governor Aregbesola ,on his part, has been in the trenches since 2005, first being denied in 2007 before the judicial upturning of the 2007 victory of Olagunsoye Oyinlola in 2010. 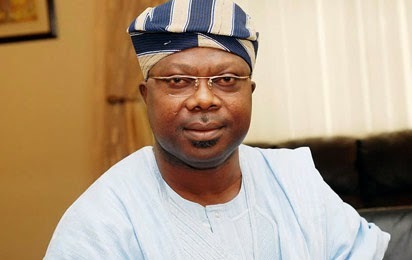 Omisore on his part first sought the governorship in 1999 but was made to step down for Akande in that year’s election by some party elders among whom were reportedly, Chief Bola Ige. In separate interviews with the two candidates conducted well ahead of the election the two major men in contention for tomorrow’s prize previewed the contest. "LONG before I assumed this office, I prepared so well for the office in a way that going by the normal run, I should not be working as hard as I’m working now for re-election. A commentator said something to the effect that I am one of the politicians that from day one began my campaign". "From the day I entered this office, I started my campaign". "How many governors walk the streets with their citizens? I have been doing that since the first month in office". "How many governors created interactive fora in Nigeria before me? There is none. I was the first governor to devote close to ten hours of continuous engagement on a quarterly basis with the citizens. The people ask any question in a no hold barred atmosphere". "The Ogbeni Till Day Break is a worldwide engagement because we take feedbacks from social media. Whoever now hates us has something else against us not for the fact that we have not done the needful". "The increase wasn’t solicited; we did it out of our own understanding of the reality of what the students were going through. When I get to campaign grounds, I say our roads have tribal marks. We now have special roads which when we complete some of them, they will be tourism attraction on their own". "The road we are building in Gbogan, people will be coming to look at it because it is not an ordinary road. It is a road that took me time to conceive and design and we are taking our time to develop it. So, when people talk about the cost of our roads, I just laugh because it is not good to be talking to people who don’t know what they are saying". "You see, I came here from the streets and it is easy for me to go back to the streets. My real home is in the streets. I laugh when they talk about me because they don’t know I am from the street. I am a product of the popular forces, the people, and I am part and parcel of them. I emanated from them and a product of their struggles". "The Akara seller knows that I feed her child every day. I identify with them on a daily basis in their struggle to live and they understand that everything we do is to make live easy for them. My administration does not suffer alienation from the people, it is one and same with the people and that is the basis of our confidence in their ever ready support at all times". "When you go and see what is happening on ground, there is so much of noise. I think the only thing he adopted is propaganda. He wants to build schools, he wants to build roads, but up till today, he has been able to build only five schools". "The next thing for him is the issue of noise making on road construction. Today, the only roads that he is doing are federal roads where he would be refunded and at very ridiculous and embarrassing rates". "For instance, the Osogbo – Ijabe road was originally awarded by the Federal Ministry of Works in 2010 for N9.78 billion. The same road, the same design, the same specifications has now been jacked to N19.8 billion". "The idea of Aregbesola is not to develop, but where to get bulk money". "They are making money on uniform per child. The uniform is supplied at N2,400 per uniform which is being sold in the market at N400. So, on that alone someone must have stolen about N12 billion.That was what led to the school reclassification programme so that there will be enough money to steal". "It is very unfortunate. I have never seen a government of this nature that is being driven by what you want to eat. That has been the focus of development. Anywhere they cannot locate money to steal, they remove their eyes from that area". "I do not know, maybe he is an engineer with Vanguard. We have asked him to know his registration number. Every engineer in Nigeria has a number and that number goes with each person to the grave". "We have challenged him a couple of times to show his certificate of COREN, his name is not there. I am a member, I am a fellow, I am a council member, his name does not show anywhere in our register. He is a technician. He is what we call Refrigeration Technician. You can imagine what is happening in Osun State today, we are under billboard siege. Last count was 2,940 bill boards in my state". "It has become an embarrassment to us. The state is being defaced by billboards. That is a sitting government, panicking. Of course, he will leave because he is a stranger in the land. He will leave that seat by the grace of God.He is going to be removed peacefully because the indigenes of Osun State are fed up with Aregbesola. He is only relying on imported people from Lagos". 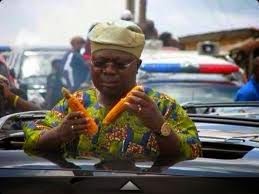 "This is a governor that will be walking on the street in the afternoon distributing corn meals, doing rituals in broad daylight in Osun State. He sought power wrongly and that is why he is messing up everywhere". As Osun decides tomorrow 9th of Sept, 2014, who do you think deserves to be in power?